Everybody has their own sense of style. Which is why we offer our Corelle dinnerware in so many different patterns and shapes. But one thing everybody agrees on is durability. Dinnerware needs to last. We use a unique material called Vitrelle ;which gives our plates and bowls that legendary Corelle durability. It also gives them a number of other benefits that other brands can't offer CORELLE s durability is due to its unique sandwich construction which bonds together three layers of special glass materials. The result is lightweight dinnerware that resists breaking;cracking;chipping;and permanent staining. CORELLE is also designed for easy handling and compact storage. For kitchens with limited storage;it nests neatly and efficiently. It can also be used to reheat food in the microwave and oven and is dishwasher proof. 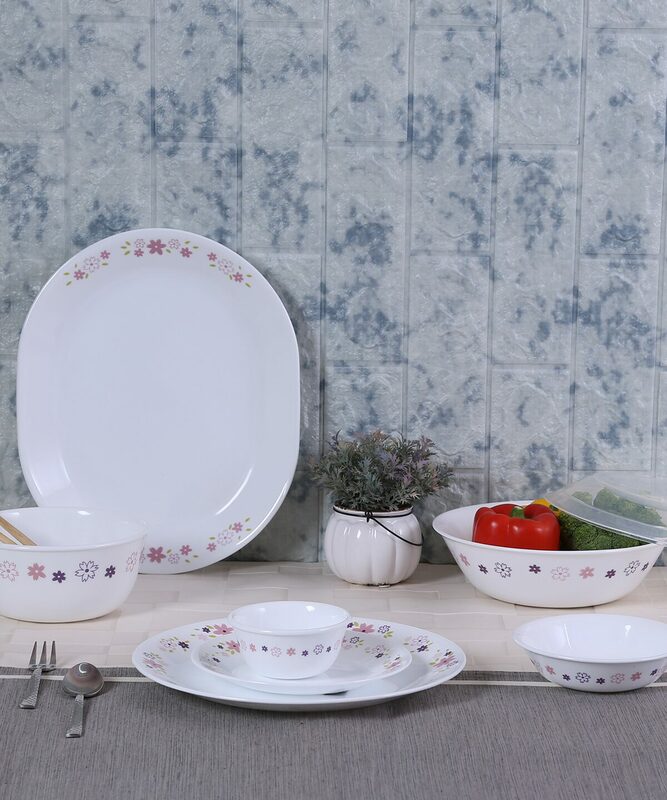 Many CORELLE dinnerware designs are developed especially for the Asian market. Whilst the base glass is manufactured in USA;the Asia designs are applied at World Kitchen s Malaysia decorating plant. The special application method fuses the patterns into the base glass. The designs are therefore long lasting and will not fade;even after years of use. CORELLE dinnerware is available in a wide array of shapes and patterns and can be purchased in sets or piece by piece;to suit individual household requirements.